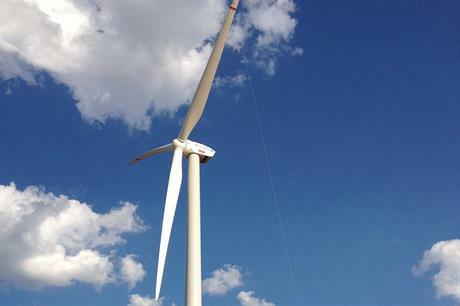 WORLDWIDE: Reports by two data specialists puts Chinese manufacturer as the leading onshore wind turbine supplier in 2015. Four more Chinese makers made it into the Top 10 list for onshore installations by Bloomberg New Energy Finance (BNEF), the result of a "surging Chinese market" according to BNEF. Its figures show that Goldwind installed 7.8GW of commissioned capacity, mostly in China where 28.7GW was added to the grid. It is the first time a Chinese manufacturer has topped its list. Despite a 2.5GW increase compared to 2014, Vestas remained second with 7.3GW capacity coming online in 2015. BNEF placed last year's market leader GE third with 5.9GW. The results, which include only online installations, put Siemens and Gamesa tied in fourth place. Despite a strong domestic showing, Enercon is placed sixth. The final four places in the BNEF Top 10 list go to Chinese manufacturers: Guodian, Ming Yang and Envision tied; and CSIC joined the list for the first time in tenth place. "It's hardly surprising that five Chinese manufacturers made the top ten ranking in a year where China contributed roughly half of the global capacity," said BNEF head of wind research Amy Grace. "It is more surprising how dominant Goldwind was in its domestic market. The company commissioned more than two-and-a-half times the amount of capacity as the next largest Chinese manufacturer, Guodian," she added. FTI Intelligence, which also ranks on only installed capacity, agreed with BNEF's top five in its preliminary results. According to FTI results, Goldwind leaped last year's number one OEM Vestas and Siemens at number two to claim top OEM this year. GE, fourth last year, made third position, pushing Siemens into fourth, according to onshore-only installations. Gamesa increased to fifth from eighth position last year. "For the wind industry, 2015 is the year of China," said FTI senior director Feng Zhao. "China not only helped make 2015 another record year for the wind industry, but was home to five of the top ten turbine manufacturers in the world," Zhao added.